Clark MacKenzie, Gary Gill and Bob Aumiller of The MacKenzie Companies have been named co-recipients of the 2018 NAIOP Maryland “Lifetime Achievement Award” and will be honored at the commercial real estate organization’s bi-annual Awards of Excellence Gala this spring. NAIOP Maryland is comprised of more than 400 professionals working for real estate development companies, brokerage firms and affiliated organizations that service the industry such as financial institutions, architects and engineers. Bob Becker of St. John Properties last won this award in 2016, which is presented every other year by NAIOP Maryland to honor significant accomplishments and contributions to the Maryland marketplace over an extended career. Past winners have included Edward St. John of St. John Properties; Scott Dorsey of Merritt Properties; Randall Griffin of Corporate Office Properties Trust; David Bavar of Bavar Properties Group; Harold and Bernard Manekin of Manekin, LLC; Leroy Merritt of Merritt Properties and Clay Emory of Emory Hill Companies. 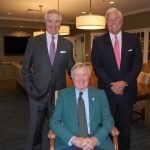 With a combined 130 years of real estate experience in the Central Maryland region, the three professionals have created a multi-disciplined organization with seven different subsidiary firms offering a full suite of services including commercial development, brokerage, construction, debt and equity capital, property management, and mapping and data analytics. More than 220 employees work for the company, including forty-four commercial real estate brokers, among five offices. “After facing extremely difficult challenges in the early 1990s, we recognized the extreme importance of pivoting to a full-service platform and we continue to operate that successful model to this day,” explained Clark MacKenzie, Chairman of The MacKenzie Companies. “We are regularly approached by national real estate groups interested in a partnership or acquisition but that is not who we are, as evidenced by our corporate slogan ‘We Know Local Matters,’” stated Gary Gill, President of MacKenzie Venture. 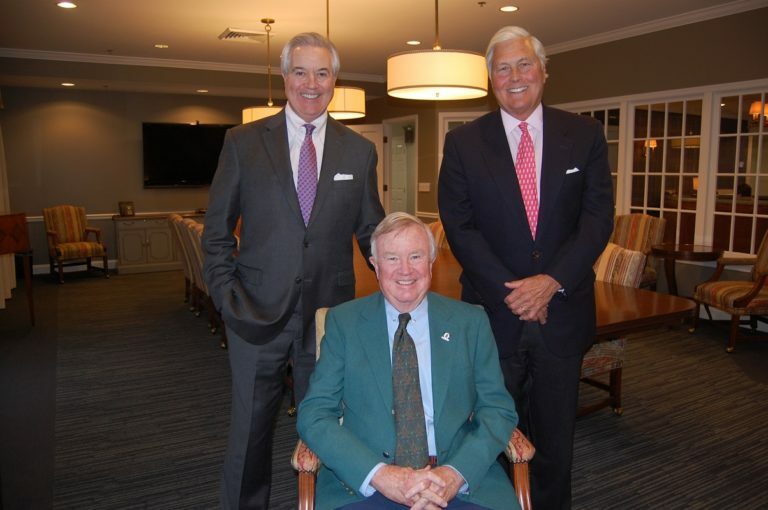 “Clark has absolutely been my mentor, and I always remember his insistence on making sure both parties in the transaction believe they emerged as winners,” added Bob Aumiller, Principal, MacKenzie Development. To learn more, read a feature story about Clark MacKenzie, Gary Gill and Bob Aumiller, that appeared in the Winter 2018 issue of NAIOPNews @ https://www.naiopmd.org/media-center/newsletter/. Gary Gill, Clark MacKenzie and Bob Aumiller.